A 4" by 6" Mardi Gras picture frame. The frame is 7.5" tall by 6.25" wide including its decorative border. 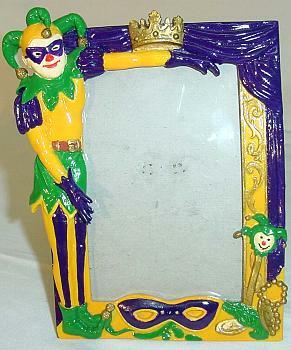 The frame features a Mardi Gras jester standing with his arms showing off your photo, as well as a crown, a mardi gras mask, and a strand of beads.